“Polar vortex” was a major buzzword last winter, when the East Coast was faced with frigid temperatures, heavy snowfall, and all-around terrible weather. And since this season is set to be unbearably cold again, we thought it was appropriate to prepare you, sartorially speaking, of course. With the help of Fjallraven, the Swedish brand known for making durable, functional clothing and accessories, we decided to compare down coats and synthetic insulated coats—two main items worn in freezing weather—to help you combat those below-zero temperatures. Read on to see what we found out! According to Fjallraven, a down coat is essential “when weight is important and when temperatures are very cold.” Down coats are beneficial in extremely cold-weather places because they have the ability to trap air and hold it in the jacket. When cold air is trapped inside, a down jacket can heat up that air and provide warmth to its wearer. One tip? Many people don’t realise down coats shouldn’t be worn in wet weather, since they have no insulating properties. Stick to down coats when facing brutal freezing temperatures and intense windy conditions. Unlike down coats, synthetic insulated coats are perfect for wet-weather conditions due to the fibres the coats are comprised of. 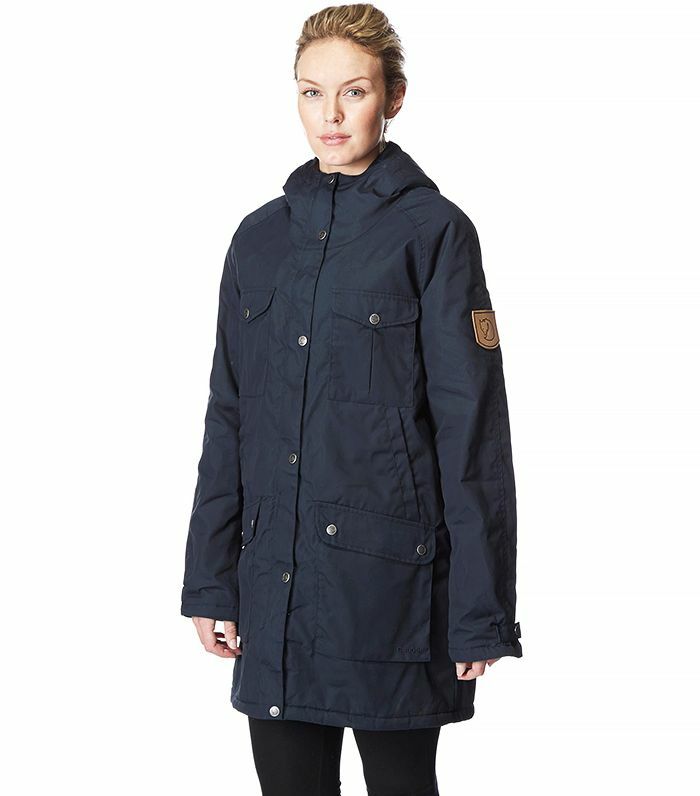 According to Fjallraven, the fibres can “withstand a certain amount of moisture without dramatic loss to its insulation capacity.” Even when wet, synthetic insulated coats can provide heat, a major plus. However, unlike down coats, which are lighter, more compressible, and durable, these types of coats are not ideal for frigid weather and won’t last in extreme cold-weather conditions. Have any tips for staying warm this winter? Tell us in the comments below!